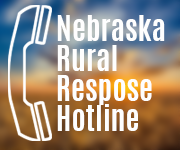 class="post-template-default single single-post postid-345159 single-format-standard group-blog masthead-fixed full-width singular wpb-js-composer js-comp-ver-5.7 vc_responsive"
During the month of October, the Nebraska Corn Board hosted two trade missions which consisted of major U.S. corn buyers from Mexico and Saudi Arabia. The trade teams met with Nebraska farmers, suppliers and exporters of corn and corn co-products to better understand U.S. corn production, marketing and exporting logistics. The visits were coordinated in collaboration with the U.S. Grains Council, which works to develop export markets for U.S. agricultural products, such as corn, distiller’s dried grains with soluables (DDGS) and ethanol. While in Nebraska, the Mexican grain buyers met with local corn farmers, Aurora Cooperative and Gavilon to better understand the U.S. value chain of white corn to Mexico from harvest to shipping. Nebraska is the largest white corn producing state in the country, and Mexico has historically been the largest importer of U.S. white corn. From Nebraska, the group further explored the American white corn industry through stops in Missouri and Kentucky. Both trade missions, from Mexico and Saudi Arabia, represented only two of 21 international teams that were in the U.S. in October. The 21 teams consisted of more than 200 grain buyers who participated In Export Exchange, a bi-yearly event sponsored by the U.S. Grains Council, Renewable Fuels Association and Growth Energy. This year’s Export Exchange took place Oct. 22 through Oct. 24 in Minneapolis. The purpose of the event was to connect global grain buyers to over 300 domestic suppliers. While the Mexican team visited Nebraska to learn about the white corn supply chain prior to Export Exchange, the grain buyers from Saudi Arabia came to Nebraska after the event concluded. Saudi Arabia is the eighth largest overseas importer of U.S. corn, importing 3.7 million metric tons in market year 2017/2018, and is the second largest buyer of U.S. sorghum, importing 280 thousand metric tons during the 2017/2018 market year. The imported commodities are frequently used in dairies, feed and poultry companies. While in Nebraska, the Saudi Arabian team visited the farms of Steve Wellman, director of the Nebraska Department of Agriculture, and Don Bloss, past chairman of the National Sorghum Producers. As major feed grain buyers, this team wanted to better familiarize themselves with U.S. corn and sorghum production. In addition to visiting Nebraska corn and sorghum farms, they visited Farmers’ Cooperative in Beatrice, the Aurora Cooperative corporate office and Pacific Ethanol, both in Aurora, and the University of Nebraska-Lincoln. 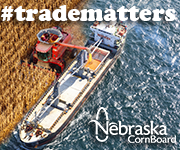 The Nebraska Corn Board partnered with the U.S. Grains Council to coordinate the missions. The U.S. Grains Council works in more than 50 countries and the European Union to market U.S. grains and their related products to build long-term demand from loyal customers. This work is also supported by funding from the USDA through the Market Access Program (MAP) and Foreign Market Development (FMD) program in the U.S. farm bill.